Sun Valley 2019-2020 season passes are on sale now - buy for the lowest prices of the year! There are many Epic Pass products that provide access to Vail Resorts owned and operated destinations as well as other partner resorts that have an alliance with the Epic Pass like Sun Valley and Snowbasin. Sun Valley and Snowbasin will accept four Epic Pass products starting with the 2019-20 season: Epic Pass, Epic Local Pass, Epic 7-Day Pass, and Epic 4-Day Pass. Sun Valley and Snowbasin are 100% independently-owned and operated. They have formed an alliance with Vail Resorts to offer benefits to each other’s season pass holders. What benefits will Sun Valley and Snowbasin season pass holders receive at Vail Resorts owned and operated destinations? Can Sun Valley and Snowbasin season pass holders use the Vail Resorts discounted lift ticket benefit before or after Sun Valley or Snowbasin opens/closes for the season? 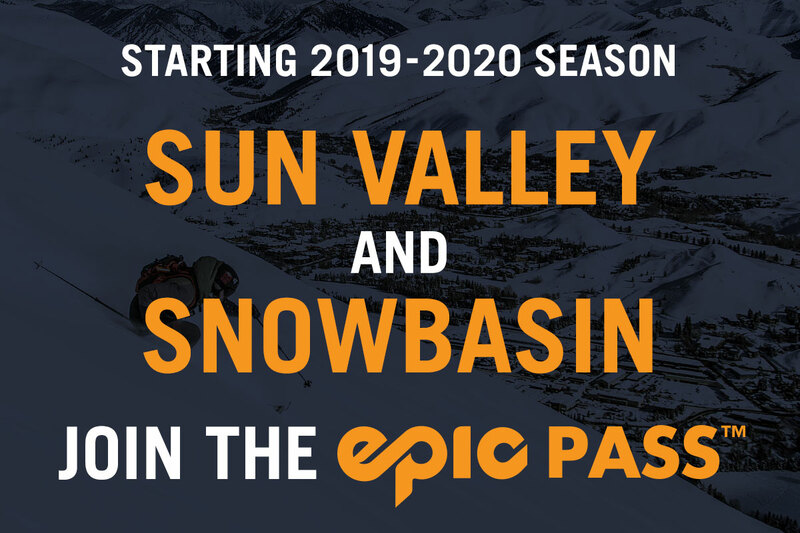 What will Epic Pass product holders receive at Sun Valley and Snowbasin for the 2019-20 season? Epic Pass™: Epic Pass holders will receive seven days of skiing or snowboarding with no blackout dates at both Sun Valley and Snowbasin and 50% off one-day window lift ticket prices after their respective days have been redeemed. Epic Local Pass™: Epic Local Pass™ holders will receive two black-out restricted days of skiing or snowboarding at both Sun Valley and Snowbasin and 50% off one-day window lift ticket prices after their respective days have been redeemed. Epic 7-Day Pass™: Epic 7-Day Pass™ holders will receive up to seven days of skiing or riding at both Sun Valley and Snowbasin, with no blackout dates, as part of their seven total days on the pass. After the seven days, regardless of the resort at which they were redeemed, pass holders will receive 50% off the one-day window lift ticket price at both Sun Valley and Snowbasin. Epic 4-Day™: Epic 4-Day Pass™ holders will receive up to four days of skiing or snowboarding at both Sun Valley and Snowbasin, as part of their four total days on the pass. After the four days, regardless of the resort at which they were redeemed, pass holders will receive 50% off the one-day window lift ticket price at both Sun Valley and Snowbasin. No - Sun Valley or Snowbasin season passes with summer benefits are only valid at those respective resorts. Do Epic Pass holder discounts (e.g., discounts on food, etc.) apply at Sun Valley or Snowbasin? Can Epic Pass, Epic Local Pass, Epic 7-Day, or Epic 4-Day pass holders use their resort charge at Sun Valley or Snowbasin? Is the Military Epic Pass good at Sun Valley or Snowbasin? No - However, both Sun Valley and Snowbasin provide substantial discounts to active-duty military, retired military, and veterans. Do other Vail Resorts season pass products offer access to Sun Valley and Snowbasin starting with the 2019-20 season? Are Epic Pass Buddy Tickets valid at Sun Valley or Snowbasin? No - Epic Pass Buddy Tickets will not be valid for use at Sun Valley or Snowbasin. Are Epic Pass Ski With A Friend tickets valid at Sun Valley or Snowbasin? No - Epic Pass Ski with a Friend tickets will not be valid for use at Sun Valley or Snowbasin. Will EpicMix be available at either Sun Valley Resort or Snowbasin? Will Sun Valley and Snowbasin continue to be part of the Mountain Collective™ Pass? Sun Valley Resort was founded in 1936 as America’s first destination ski resort. 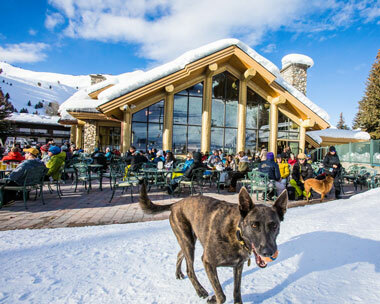 Located in the Idaho mountains, it is truly a four-season resort with a wide array of activities. Outdoor adventure enthusiasts enjoy world-class skiing, snowboarding, skating, hiking, biking, golfing, fishing, shooting, concerts, shopping, restaurants, and conference and special event space. Sun Valley is a member of The Grand America Hotels and Resorts family. Sister properties include Snowbasin Ski Resort, The Grand America Hotel, Little America Hotel (all Salt Lake City, Utah); The Westgate Hotel, San Diego, Calif.; Little America Flagstaff, Ariz.; Little America, Wyo., and Little America, Cheyenne, Wyo.